TORONTO, Oct. 9, 2018 /CNW/ - Spin Master Ltd. (TSX: TOY; www.spinmaster.com), TMS Entertainment Co., Ltd., and Nelvana Ltd., have announced an agreement in principle to relaunch the global hit "BAKUGAN". Set to debut on the 10 year anniversary of the original series, the coordinated project also includes the development of toys, toy-linked TV animation and the formation of a joint production committee. "BAKUGAN" originally launched in 2008 and quickly captured the imagination of children around the world. "BAKUGAN" became a global franchise, delivering multiple years of television content. "BAKUGAN" was named Toy of the Year and License Property of the Year in 2009. 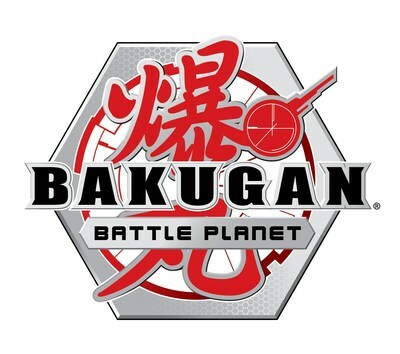 The new series, "BAKUGAN Battle Planet", will air on Cartoon Network in the US, Europe, Middle East & Africa, Latin America, Australia and New Zealand, and Teletoon in Canada. The animated series follows the adventures of Dan and his best friends, the first kids on Earth to bond with the mysterious alien creatures known as the Bakugan. With storylines themed around friendship, battling and competition combined with a new integrated toy line, "BAKUGAN Battle Planet" is anticipated to be one of the biggest and most dynamic franchises yet. In addition to the television series, additional short form content will be available online. "BAKUGAN is a global legacy brand that aided in the evolution of Spin Master's approach to entertainment and franchise development," said Ronnen Harary, Co-Founder, Chairman and Co-CEO. "We are excited to be working with our global partners to relaunch BAKUGAN, bringing innovation, excitement and battling fun to children all over the world." The BAKUGAN Battle Planet toy line will retain the essence of what made the original toys so popular, with exciting new features that bring revolutionary card and app play. Innovative, all-new marble-like balls with ingenious technology instantly transform into multiple collectible characters when rolled over a magnetic card. The game will bring different levels of play, from beginner to advanced, and allow players to compete against multiple opponents. This will offer enhanced collectability due to its wide range of strategy options. The toy line will be available in North America and other select markets in Q1, 2019 and will be rolled out globally beginning Q2 2019. The animated series will premiere in North America in December 2018, and Latin America and EMEA in 2019. The Bakugan licensing program, led by Cartoon Network Enterprises in all territories except Asia, will also be available at retail in 2019. In Asia, Takaratomy will launch the toy line in Japan and TMS will manage distribution of the toy, animated series and related licensing program. For more information please visit www.bakugan.com. Spin Master (TSX:TOY; www.spinmaster.com) is a leading global children's entertainment company that creates, designs, manufactures, licenses and markets a diversified portfolio of innovative toys, games, products and entertainment properties. Spin Master is best known for award-winning brands including Zoomer®, Bakugan®, Erector® by Meccano®, Hatchimals®, Air Hogs® and PAW Patrol®. Since 2000, Spin Master has received 96 TIA Toy of The Year (TOTY) nominations with 28 wins across a variety of product categories, including 13 TOTY nominations for Innovative Toy of the Year, more than any of its competitors. To date, Spin Master has produced six television series, including 2007 success Bakugan Battle Brawlers and current hit PAW Patrol, which is broadcast in over 160 countries and territories globally. Spin Master has 28 offices and employs over 1,700 people globally in Canada, United States, Mexico, France, Italy, United Kingdom, Russia, Slovakia, Poland, Germany, Sweden, the Netherlands, China, Hong Kong, Japan, Vietnam and Australia. TMS Entertainment Co., Ltd. (better known as TMS) is one of the world's largest and most distinguished animation studios. TMS has won recognition from the international filmmaking industry for its highly-acclaimed animation, pioneering techniques and proud commitment to quality. With a dedicated team of development, production and design executives, TMS's growing reputation is reflected by the versatility, artistry and originality of the programs the company has produced for international markets worldwide. Established in 1964, TMS has produced more than 200 features, and over 100 TV program series, with a total of 12,000 half hours for global distribution. TMS programs have attained worldwide recognition and TMS will continue to strive for excellence. Visit TMS at www.tms-e.com/english/. Nelvana is Canada's premier animation company and a world-leading producer and distributor of children's content. Nelvana has delighted audiences around the globe for more than 40 years with a vast library of more than 4,000 episodes from original, award-winning series like Babar and Franklin. Nelvana's content is distributed in more than 160 countries worldwide and broadcasts across Corus Entertainment's suite of leading kids networks. Nelvana Enterprises, the global licensing and merchandising arm of Nelvana, manages the organization's portfolio of in-house and third-party brands with offices in Toronto and Paris. Nelvana Studio, with offices in Toronto and Montreal, employs more than 300 Canadian artists working with local and international producers to create premium children's content for a global stage. For more information, visit www.nelvana.com. Cartoon Network is Turner's global entertainment brand and the # 1 animation network in the U.S., offering the best in original content for kids and families with such hits as, Adventure Time, The Powerpuff Girls, Steven Universe, We Bare Bears and The Amazing World of Gumball. Seen in 192 countries and over 400 million homes, Cartoon Network is known for being a leader in innovation with its approach to engaging and inspiring kids at the intersection of creativity and technology. Its pro-social initiative, Stop Bullying: Speak Up is an acknowledged and often used resource for kids and adults looking for tools that can assist in dealing with the ongoing issue of bullying.